Inadequate revenue collections and severe breakdown in communications among City departments about how to process bounced checks cost the City nearly $347,000 in uncollected revenue between June 2011 and June 2012, according to a report released by the Philadelphia Office of the Inspector General, which called for an overhaul of the City’s check-processing procedures. Correcting the bounced check problem is one of the initial projects for the City’s first ever Chief Revenue Collections Officer Thomas Knudsen, who is slated to begin work at mid-month. Mayor Michael A. Nutter named Knudsen to the new post on Wednesday. “I want to thank the Inspector General for her office’s excellent work and diligence with which her team investigated this issue. Inspector General Kurland has highlighted a very serious problem all across City government, a problem which must be addressed immediately. “The Chief Revenue Collections Officer and the new Revenue Commissioner, Clarena I.W. Tolson but also every department head in City government must fully support these greatly needed reforms while sending a message to individuals and business owners that we won’t tolerate bounced checks. We will collect what is owed to us just like any other business or government entity. For some a bounced check is an unfortunate mistake, for others it’s a way of doing business. We will not accept this behavior any longer,” Mayor Nutter said. The OIG analyzed the City’s procedures for processing bounced checks at the request of the Revenue Department, which had identified numerous payments to the Department of Licenses and Inspections that banks returned to the City due to insufficient funds. Upon discovering significant discrepancies, the OIG expanded its inquiry to 10 additional departments and agencies, including the Health, Public Property, Streets, Records and Law departments. From June 2011 to June 2012, the City failed to adequately address almost $574,000 in returned checks that Revenue forwarded to those City agencies for further action. As a result of miscommunication and ineffective collections efforts, the OIG has estimated that the City lost between $347,000 and $511,000 in revenue in those 12 months. In addition to miscommunication and ineffective collection procedures, the OIG identified several more factors that contributed to the problem. Miscommunication among departments led to accounting deficiencies, making it appear that some debts remained outstanding when the departments had in fact received payment. Additionally, it took at least three months for departments to receive bounced checks, leaving them unaware that they had not been paid for services already provided. Delays and a lack of communication among departments also allowed individuals and businesses to pass bad checks to the City repeatedly while continuing to receive City services. In the past six years, 13 individuals or companies have passed 692 bad checks to the City totaling $720,000. L&I accounted for the majority of the loss, with more than $346,000 in unaddressed debt. In one case, a Delaware-based company presented 197 bad checks to purchase licenses and permits from L&I valued at more than $38,000. Because L&I processed the documents before the checks cleared and did not follow up to make sure the funds were transferred, the company received the licenses and permits at no cost. 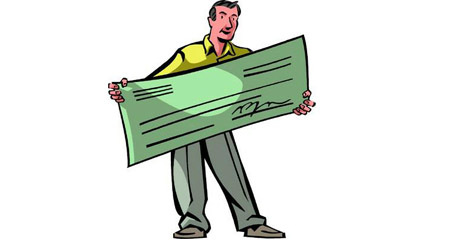 Departments should scrutinize checks before they are processed to reduce the risk of accepting bad checks. Specifically, the OIG recommends that departments purchase electronic check scanners that can instantaneously determine whether the account has sufficient funds. Departments should put a fixed procedure in place to ensure consistent and effective collections. By implementing debt collection and recovery software, the City can increase revenue collection dramatically. The Philadelphia Parking Authority uses such a program to independently monitor delinquent checking accounts and automatically retrieve the outstanding funds when they are available. The City should take stronger enforcement action against individuals who have repeatedly submitted bad checks, including criminal prosecution when warranted. The Chief Collections Officer should foster greater cooperation among departments and ensure that all bounced checks are addressed appropriately. “While the findings of this investigation are concerning, we are confident that the City’s new Chief Collections Officer, Thomas Knudsen, will correct these deficiencies by implementing an effective and efficient collections process,” Kurland said.